The restoration of Pulhamite can be a tricky business, and needs to be carried out by people who have some experience in the work. The following firms may be able to help. 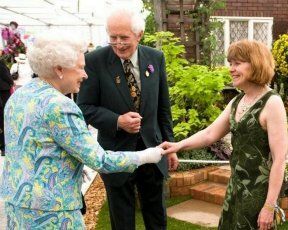 Valerie Christman and her family are direct descendents of James (1) Pulham, and operate a firm of landscape gardeners that specialises in the construction of rock gardens and water features, with many years’ experience of creating show gardens at Chelsea. Their fascinating story is recounted in The Pulham Legacy. Specialist producers of bespoke, hand-sculpted render rockwork, waterfalls and trees etc. Has considerable experience in the restoration and repair of Pulhamite stone on prestigious sites such as Buckingham Palace, the Swiss Garden at Old Warden, Blackpool, Ross Hall Park in Glasgow, Wotton Park etc. CCNW are professional environmental consultants and contractors who specialise in habitat management works on all aspects of sensitive projects. They have experience in – and are very interested in – Pulhamite restoration. Eccleston Georga are a group of innovative artists and craftspeople who have developed their own Eccleston George Permanent Stone for use in the construction and sculpting of naturalistic rock formations etc. This is effectively the same approach that Pulhams took in the 19th Century, except that the EG materials are not natural stone. They have undertaken – and are extremely interested in – the restoration of Pulhamite installations. V.C.-Pulham Garden Crafts, Widford, HertfordshireDetails as above. Specialist in rock and water features. I wouldn’t trust Pulhamite restoration to anyone other than someone mentioned here. Pulham was art personified and needs to be treated so carefully.